DorobekInsider: Did the President all-but mention GSA administrator nominee Johnson at the State of the Union? 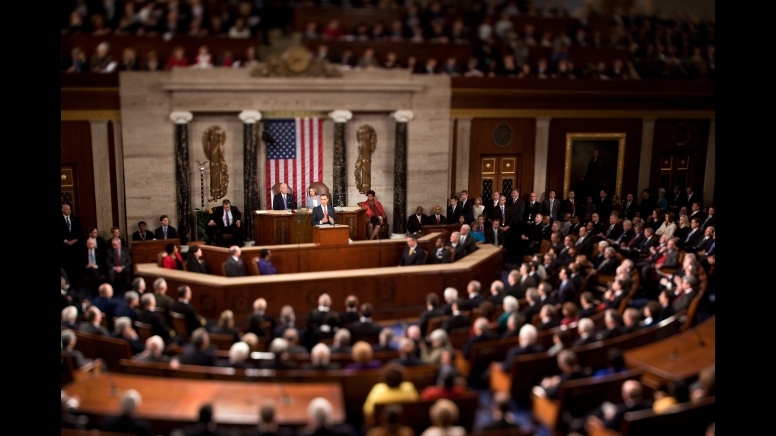 Most of probably watched the State of the Union address last night — President Obama’s first State of the Union address. What frustrates the American people is a Washington where every day is Election Day. We can’t wage a perpetual campaign where the only goal is to see who can get the most embarrassing headlines about the other side -– a belief that if you lose, I win. Neither party should delay or obstruct every single bill just because they can. The confirmation of — (applause) — I’m speaking to both parties now. The confirmation of well-qualified public servants shouldn’t be held hostage to the pet projects or grudges of a few individual senators. Was he specifically talking about Martha Johnson’s nomination to be the administrator of the General Services Administration? Who knows. We told you earlier that the Johnson nomination — and the other held nominations — were expected to come to a cloture vote soon after the vote on Ben Bernake’s nomination for a second term as chairman of the Federal Reserve Board, but I’m hearing that the cloture vote might not actually happen until next month. To make college more affordable, this bill will finally end the unwarranted taxpayer subsidies that go to banks for student loans. (Applause.) Instead, let’s take that money and give families a $10,000 tax credit for four years of college and increase Pell Grants. (Applause.) And let’s tell another one million students that when they graduate, they will be required to pay only 10 percent of their income on student loans, and all of their debt will be forgiven after 20 years –- and forgiven after 10 years if they choose a career in public service, because in the United States of America, no one should go broke because they chose to go to college. I’m also calling on Congress to continue down the path of earmark reform… You’ve trimmed some of this spending, you’ve embraced some meaningful change. But restoring the public trust demands more. For example, some members of Congress post some earmark requests online. Tonight, I’m calling on Congress to publish all earmark requests on a single Web site before there’s a vote, so that the American people can see how their money is being spent. Some people tweeted that lawmakers could do that on the Library of Congress’s Thomas Web site. We find unity in our incredible diversity, drawing on the promise enshrined in our Constitution: the notion that we’re all created equal; that no matter who you are or what you look like, if you abide by the law you should be protected by it; if you adhere to our common values you should be treated no different than anyone else. We must continually renew this promise. My administration has a Civil Rights Division that is once again prosecuting civil rights violations and employment discrimination. We finally strengthened our laws to protect against crimes driven by hate. This year, I will work with Congress and our military to finally repeal the law that denies gay Americans the right to serve the country they love because of who they are. It’s the right thing to do. WP’s Federal Eye blogger Ed O’Keefe has more. See the entire speech here… or read the full transcript here. Of course, I’m also watching the State of the Union 2.0 aspects where the White House is seeking questions on YouTube — and he will address them later.